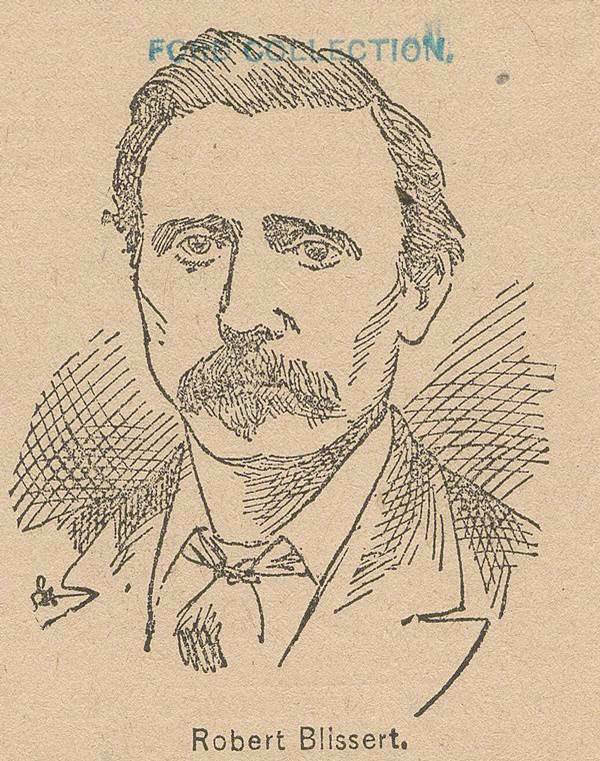 Robert Blissert, a Irish-born tailor and trade unionist, emigrated from England in the late 1860s having been blacklisted in Britain for his union activities. He was a prominent activist and orator in New York through the 1870s and 1880s in support of unionism, the Irish, and labor more generally. He became active in the Journeyman Tailor’s Union and was involved in attempting to set up a workingmen’s party in 1870. Involved with a number of labor-related organizations, and a ubiquitous platform speaker, he was best known as the founder of the Central Labor Union of New York and Vicinity which was established in early 1882, initially in support of the Irish Land League movement. He was also a member of the Knights of Labor’s Local Assembly 1563 in New York City and the Greenback Labor Party for which he was a prominent advocate in the 1880 presidential campaign. He had strong connections to Brooklyn’s Local Assembly 1562 and the Brooklyn Spread the Light Club, and was a strong proponent of boycotting. He enthusiastically adopted the ideas of Henry George who he considered to be the obvious leader for labor. His activities became less prominent after 1882, possibly because he established a tailor’s business on fashionable Broadway, just below Union Square. This entry was posted in People and tagged Central Labor Union, Cuno, Greenbackers, Knights of Labor, Labor Day, Matthew Maguire, Organise and Spread the Light, United Labor. Bookmark the permalink.